It is important to contact a car accident lawyer in West Virginia who has the skill and experience to review your case and help you fight for the greatest possible compensation allowable under the law for your pain and suffering. Those who are responsible for your injuries should be held accountable. Goddard & Wagoner, PLLC will work tirelessly in our efforts to ensure that justice is served. Our car accident attorneys and personal injury lawyers are committed to uncovering the facts that help lead to full compensation payments from insurance companies. We will doggedly pursue and, if necessary, try your case. And, we will not recommend settlement until we secure the best value of your car accident claim under West Virginia law. To find out how we can help you with your personal injury case, contact us onlineTo find out how we can help you, contact us online or call (304) 470-8441 to schedule a free initial consultation with our team. We serve clients throughout the state, including those in Clarksburg, Fairmont, Morgantown, and all of Harrison County. WHAT ARE THE CONSEQUENCES OF NEGLIGENT DRIVING? 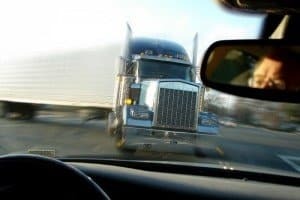 Every few years, the West Virginia Department of Transportation releases a special report outlining the causes and contributing factors leading to accidents on the road. About 40% of accidents are the result of a driver’s failure to maintain control of the vehicle. In some cases, this might be the result of road conditions. Texting while driving, distracted driving, driving while under the influence of alcohol and other drugs (DUI), or driving while sleepy can also lead to a person’s inability to maintain control of a vehicle. In any given year, according to the West Virginia Department of Transportation, over 45,000 vehicle accidents take place. As a result of these accidents, about 25,000 injuries are reported on the road every year. Injuries and property damage results in over 3 billion dollars in economic losses. Unfortunately, many of these accidents could easily have been prevented. Negligent driving accounts for a majority of vehicle accidents throughout West Virginia. Motor vehicle accidents can result in serious and lasting injuries. That’s why you need a car accident attorney who is serious about getting results. At Goddard & Wagoner, PLLC, our personal injury lawyers bring knowledge, experience, and tenacity to each case. We know that too many car accidents happen because drivers are negligent, careless, or even reckless. Maybe the driver responsible for your accident was distracted, talking on his cell phone, or even texting. In these cases, the insurance company and negligent party may be liable for your immediate and long-term medical expenses, lost wages, pain and suffering, emotional distress, or other expenses resulting from the accident. Call the Clarksburg car accident attorneys at Goddard & Wagoner, PLLC today by calling (304) 470-8441. If you or loved one has been the victim of a car crash in West Virginia, we want to help you fight for maximum compensation!